MGM creates inspiring outdoor spaces for fine homes for Northern Illinois and Southern Wisconsin residents. 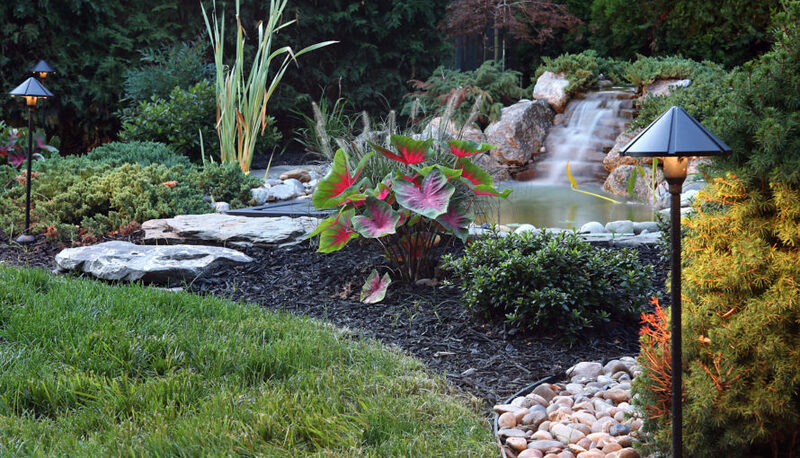 Our landscape designs are created by a design team that is never satisfied, and that considers each property as a blank canvas waiting to be transformed into art, sculpted from nature. Good landscape design is more than mythical magic … our plantings are chosen to complement the land and to thrive in the measure of care they will be given. And we design with colors and textures that will bring beauty and enjoyment in every season. We do not aspire to a trademark “look”, because a true design reflects the tastes and style of each client. But we do consider each of our landscapes as a testament to our innovation and high standards. We begin each design with a vision of transformation, and we finish it knowing it is a permanent record of our skill and our creativity.